If you have a news story you think should be included on the Cardiff Housing site please use the contact form to let us know. You may have noticed that the Cardiff Housing website looks a little different. We have been working hard to upgrade the site so that it looks cleaner and easier to read. Have a Savvy Christmas - avoid the January money blues! 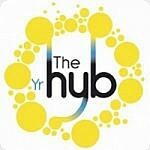 The Hub Service at Butetown is now open to help you access a range of Council services in one place, and to get a range of advice. Older People's Accommodation pages now live on this site!